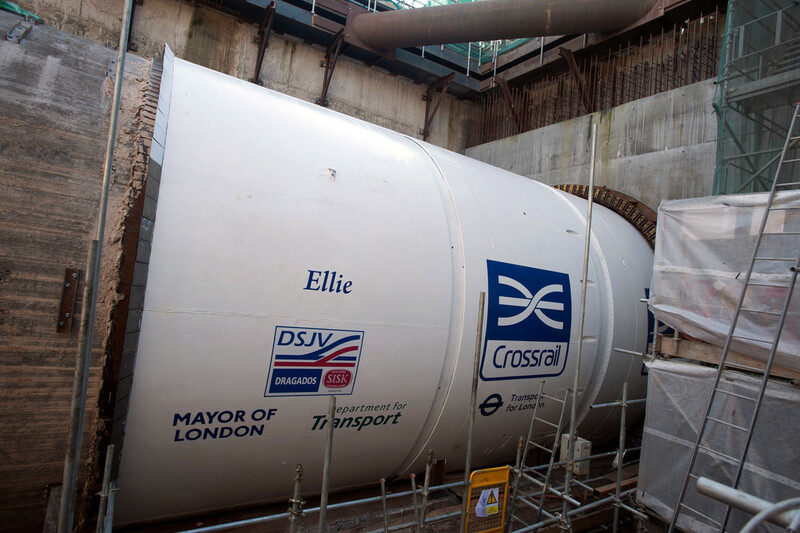 Crossrail’s eighth tunnel boring machine launches in east London - Crossrail . For information about the Elizabeth line please visit the Transport for London website. 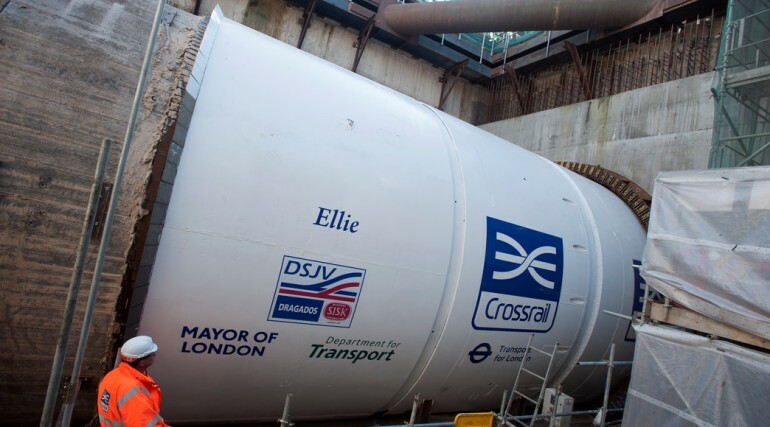 Ellie is the eighth Crossrail tunnelling machine to be launched and the last to be inaugurated. She broke ground a stone’s throw from Queen Elizabeth Olympic Park and will dive up to 30 metres below ground on her 2.7 kilometre journey to Stepney Green, before breaking into one of Europe’s largest mined caverns later this year. 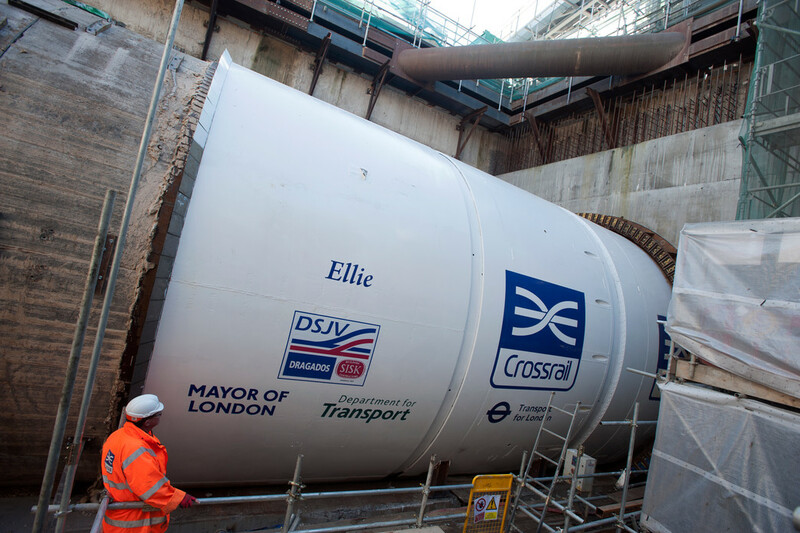 The tunnel will form part of Crossrail’s north east spur from Whitechapel to Shenfield in Essex. Ellie is staffed by 20 people, weighs 1,000 tonnes, is 150 metres long and 7.1 metres in diameter. 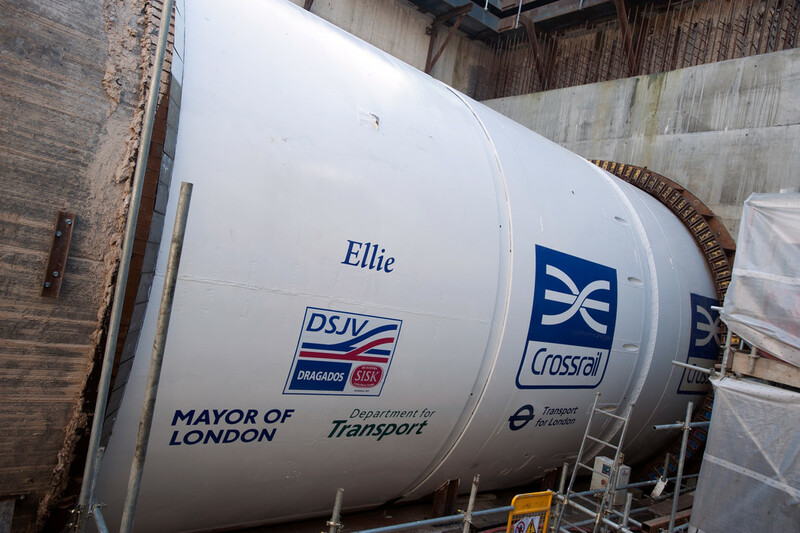 Her sister machine, Jessica, completed the journey from Pudding Mill Lane to Stepney Green on 3 February and in the coming weeks will be taken to Limmo Peninsula near Canning Town in east London, where she will begin Crossrail’s last tunnel drive towards Victoria Dock Portal. Ellie was named after Paralympic Champion Ellie Simmonds OBE and Jessica is named after Olympic Champion Jessica Ennis-Hill CBE. Both names were chosen by pupils from Marion Richardson School in Stepney. 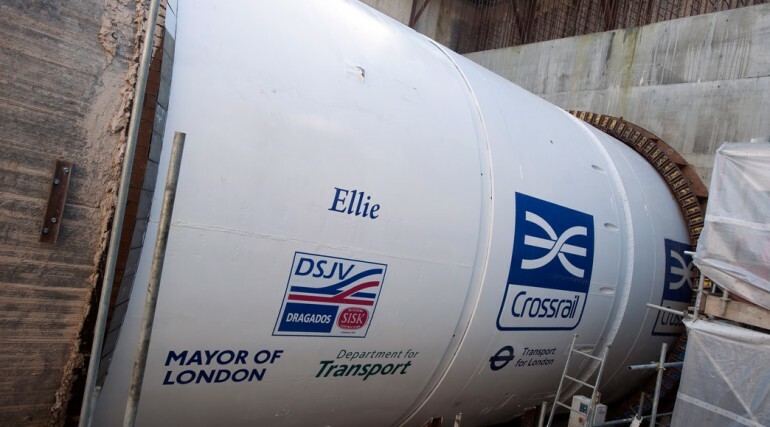 The launch of Ellie continues an unprecedented period of tunnelling milestones, with the western tunnels reaching structural completion, the first Crossrail tunnel beneath the Thames completing at North Woolwich and three tunnel boring machine breakthroughs at Whitechapel and Stepney Green in recent weeks. Tunnel machine Mary has also recently re-launched from Woolwich Box and will complete the final section of Crossrail tunnel under the Thames between Plumstead and North Woolwich. 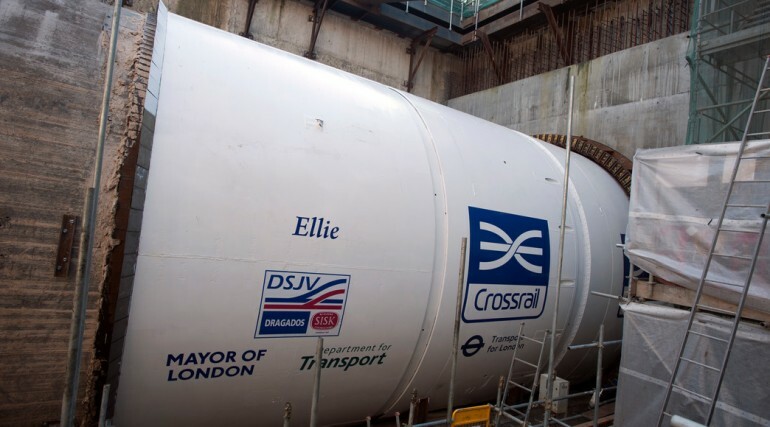 Crossrail recently passed the halfway point in its construction on time and within budget. Over 30 kilometres out of 42km of bored tunnels are now complete. 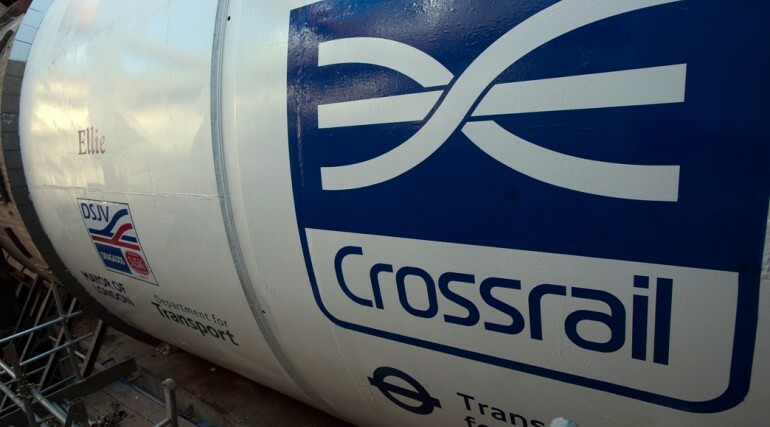 Crossrail will add 10% capacity to London’s rail network. It will serve 38 stations, running for more than 100 kilometres from Maidenhead and Heathrow in the west to Shenfield and Abbey Wood in the east via central London. 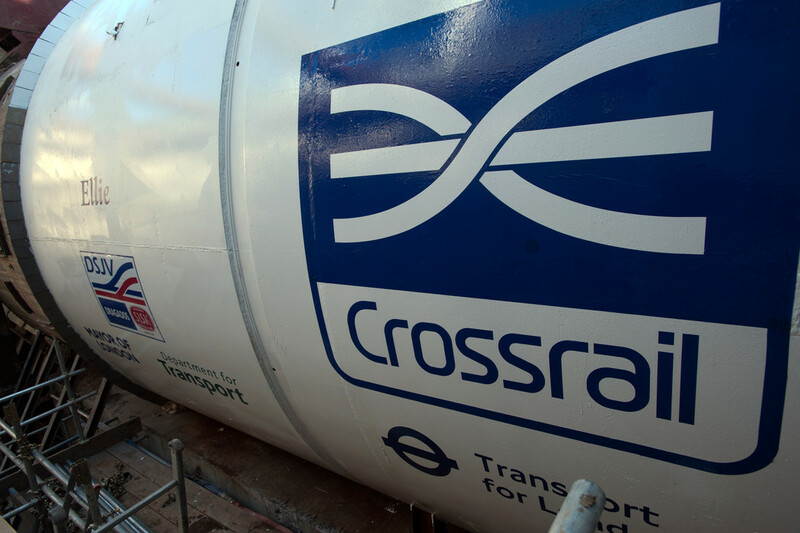 10,000 people currently work on Crossrail, which is at the peak of construction. The project is supporting 55,000 full time equivalent jobs across the UK. For a YouTube video showing an animation of Crossrail tunnelling, click here. TBM Ellie launches from Pudding Mill Lane towards Stepney Green. Eight tunnel boring machines (TBMs) will construct ten different tunnels to collectively deliver 42 kilometres of new train tunnels under London. TBM tunnelling is now 70 per cent complete. A gang of 20 people work in the tunnel on each shift to keep each machine operating.